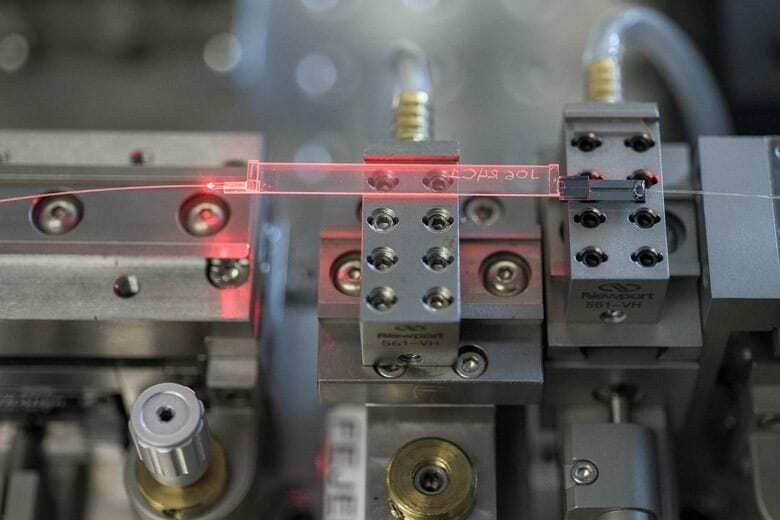 This nonlinear optical wave guide converts the wavelength of a single-photon signal to a common telecom wavelength. March 26, 2019 - BT switches on quantum network link at Adastral Park ComputerWeekly.comBT has opened its quantum network link between its Adastral Park research base and the UK Quantum Network node at the University of Cambridge. March 28, 2019 - BT brings up secure test fiber link as part of UK Quantum Network LightWave OnlineBT Labs has opened a test link between its Adastral Park research campus in Ipswitch and a node in Cambridge as part of the UK Quantum Network (UKQN).